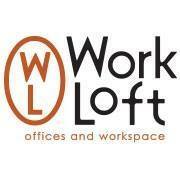 Work Loft is a dynamic and flexible coworking community in downtown Marblehead. Here, you can focus on your work in an uplifting, casual-professional atmosphere. How does a bright, uncluttered, workspace sound—with internet, complimentary beverages, and like-minded people? Opt for one of our open areas, or maybe a private office would best suit your needs. Come check us out! We're here M-F 8am-4pm to help you. Working hours are 6am-6pm.